Our culture teaches us that money and material wealth are a sign of success and the prerequisite to true happiness, and that our self-worth and sense of personal accomplishment should be measured by how far ahead we are up the “ladder of success”. The media constantly glorifies material possessions, social status and appearances, yet even some of the wealthiest and most praised individuals on this planet suffer from severe anxiety, depression and drug addiction. Perhaps it is time to rethink what a human being needs to be truly happy? 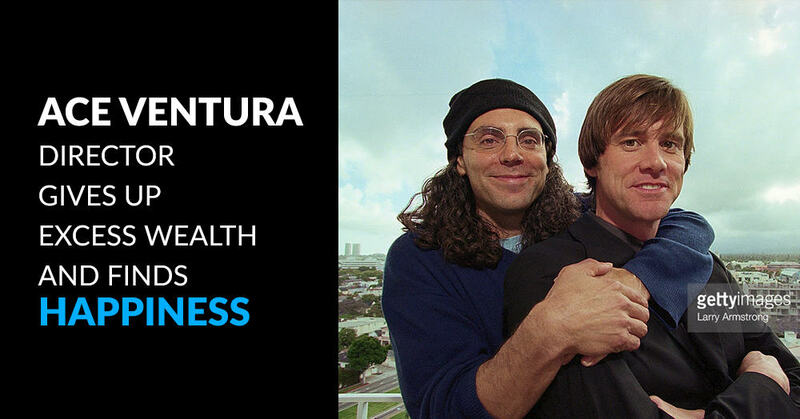 In the following clip, Tom Shadyac, one of America’s favorite comedy directors (Ace Ventura, The Nutty Professor, Liar, Liar, Patch Adams, Bruce Almighty) explains how his rise to success and excess wealth did not make him any happier. Instead, he discovered the true source of happiness by changing his lifestyle and purpose completely. Let us know what you think and share if you believe in this message! What if we all began valuing the things he speaks of and let this message become the fuel behind our every choice? P.S. If you haven’t already, check out Tom’s incredible documentary called I AM. And if you’re wondering what book to read next, his book Life’s Operating Manual is a must-read!